Citigroup (NYSE:C) will be shifting strategy as the firm’s new priority appears to no longer be that of expansion or becoming a retail-banking giant across the U.S. Instead, the company is focusing on the revitalization of its retail banking business. According to the WSJ, executives at the New York-based company plan to narrow the focus of Citi’s U.S. branch network to six major metropolitan areas where the bank already has a substantial presence. The company would focus in New York, Washington, Miami, Chicago, San Francisco and Los Angeles, but would pare its business in Boston, Philadelphia and parts of Texas where Citi is trying to sell its roughly 120 branches, the Journal said. It added, that the bank will also limit consumer lending and cater towards an affluent clientele, focusing on credit cards and “jumbo” mortgages. “At the end of the day, we are not going to have the density of distribution that others have” in the U.S., one Citi executive said. 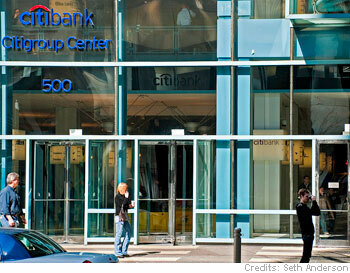 Bank execs are expected to present the details of the plan to Citigroup’s board next month. Citigroup, which has received $45 billion in government bailout money and guarantees to protect it against losses on more than $300 billion in toxic investments, is the third-largest U.S. bank and has 1,001 U.S. branches compared with more than 5,000 apiece at Bank of America/Merrill (NYSE:BAC), J.P. Morgan (NYSE:JPM), and Wells Fargo & Co (NYSE:WFC). The six U.S. markets where Citi plans to concentrate its branch network have 18% of the nation’s population, the Journal said.